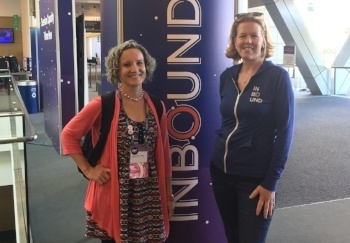 My partner in Yodelpop, Jackie Lalley, and I started attending Inbound in 2013, when the attendee count was a something like 7,000. 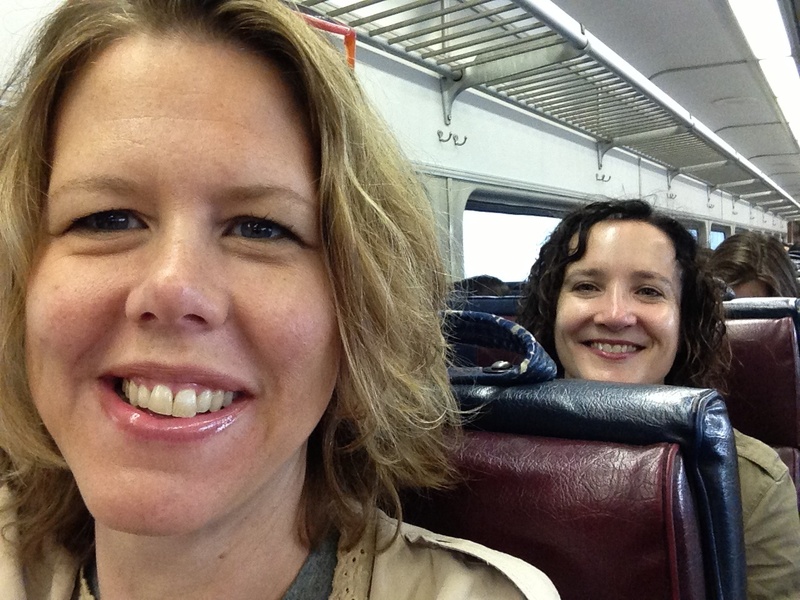 That year, we stayed outside Boston and took the commuter train into the city each day. For the last three years, we've stayed in the same AirBnB in Southie, and walked the mile to the conference center each day. We look forward to it as our annual marketing retreat complete with exploring Boston dining experiences and shoehorning in meet-ups with clients, local friends, HubSpot all-stars and fellow agencies. What's stood out to me over the years at Inbound: hey, we're all simply human – buyers, sellers, marketers, employees, employers, board members, fundraisers, donators, mothers, fathers, daughters, sons, spouses, etc. No matter the role(s) we play in our work and lives, we are all imperfect and vulnerable human beings that are also capable of amazing creativity, compassion and connection. HubSpot, the creator of Inbound, world-class marketing and sales software and the inbound marketing and sales philosophies that go with it, has done an amazing job of bringing together human beings en mass for the purpose of connection, inspiration and education. The conference manages to leave me feeling unconditionally loved and less afraid of my humanness each year. I'm sharing key takeaways from two of the sessions that I attended this year at Inbound17. These sessions didn't focus on tactics and tricks –they looked deeper into the heart of people and our hierarchy of needs. It's not about the product itself, it's about what the product enables. Turning A Day-To Day Product Into An Exciting Storytelling Movement by Hugo Pereira, leading marketing and growth at EV-Box, the worldwide leader in Electric Vehicle (EV) charging solutions, told the story of how the organization turned a day-to-day product (electric car charging stations) into an exciting storytelling and empowering movement among all the organization's stakeholders. EV-Box conducted a survey of customers, and found that once the product helped solved their problem, they would forget about it. They weren't getting involved with the product beyond that. The result of their efforts: website traffic increased 300%, social media following exploded, with engagement rates shooting above the industry average and sales qualified leads grew 166%. Customers and partners where starting to recognize the firm as more than just the brand for a 'boring' product. "What story is your product enabling customers to dream & live?" In inbound marketing, we know how important it is to help buyers solve their challenges. But what about beyond problem solutions? What story is your product creating to get customers talking about it after it has simply enabled them to cross a problem off thier list? According to Pereira, realizing the “why” of the product is the first step. A product is a thing, and the goal of selling the product is for it to end up in the hands of a human being. If you are selling a product, have you ever thought about the “why” of the product? What dream is it helping the buyer persona realize? Asking these deeper questions will help you build a compelling story around your product, no matter how 'boring' the product might seem! Get a copy of Hugo's presentation here. People pay attention in the buying process when they feel connected, empowered, inspired and motivated. What do buyers really want from the sales process? Along the way, they found out what buyers definitely don't want. Four out of five consider meetings with sellers that are price-focused and transactional a waste of time. Only 19% valued conversations with sellers because of this. They found that what buyers do want is pretty simple: an awesome connecting experience that they will go out of their way to come back to you for. When you engage in a two-way dialogue, where you're working to understand the needs of the buyer (as well their interestes, dreams and aspirations — see Takeaway #1 above) and instill confidence and encouragement in what they're doing, people are more likely to buy, and faster. "Buyers enjoy actively participating in the creating insights and solutions. Don't do all the work for them"
Remember that due to the nature of the human experience, you are a buyer, even if you're also a seller. So how do we buyers rank the above leadership practices in terms of effectiveness in selling to us? It’s been said that buyers don’t want to be sold to – but People First helps answer the question of what buyers do want: to be empowered, educated and inspired. Get a copy of Deb's presentation here. I truly love my "aha" moments of resonance that I experience at each and every Inbound I attend. Both of these takeaways stuck with me because they resonate with what I believe about marketing and sales: the process is about human connection and helping making dreams come true.